This is the last layout I did using the March kit of the month (KOTM). This has been one of my favorite kits . Love the bright girly papers and the fun trims and felt flowers. The jillibean soup alphas out of kraft paper are so cute. All of this and more comes in the kit. You can learn more about the KOTM on the home page at AC Bailey. Hope you all have a great day and go check out AC Bailey ( link on the side). She is so adorable. I really love the layout too! 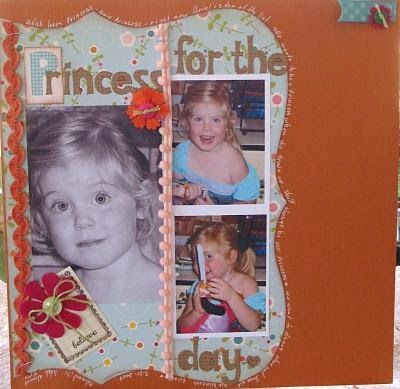 Such a cute layout Connie! I love your blog design too - so fun!